On January 22nd Downing College’s hosted its first-ever BME (black and minority ethnic) Conference. This was a one-day event that attracted high-achieving Year 12 students from BME backgrounds to experience a taste of life at Cambridge, not least to offer an honest and true picture of life at Cambridge as a student. During the course of the day students had a chance to have a tour of Downing, attend subject taster-sessions as well as an admissions talk, which provided insight into life not just as a Cambridge student but also as a university student, and touched on topics from making a well-informed application to finances. Perhaps the highlight of the day was the Q&A session with current Cambridge students and Downing academic, Professor Chris Haniff (Fellow and Professor in Physics) all from BME backgrounds. I believe that conferences such as this one are so important for widening opportunities for prospective students from BME (Black and Minority Ethnic) backgrounds. It becomes increasingly evident that students that come from backgrounds without a history of attending university do not often know what the pathways to applying to university are, let alone Cambridge. I really wanted to put on this event as I was inspired by the conference Trinity College had put up in November, setting the bar high for other Cambridge Colleges. At this point, I have to give thanks to Downing College’s School Liaison Officer, Lauren Payne, with whose guidance and support the conference would not have turned out to be the great success that it was. Events such as this one are not only vital for encouraging more applications from BME candidates but also help to give students an accurate portrayal of Cambridge so that they could use this opportunity to make an informed decision about whether or not to apply, and what courses to apply for. Hopefully by the end of the event, students who initially did not feel Cambridge was for them had gained the confidence they need to apply to the best academic institutions and go on to aspire to great heights. 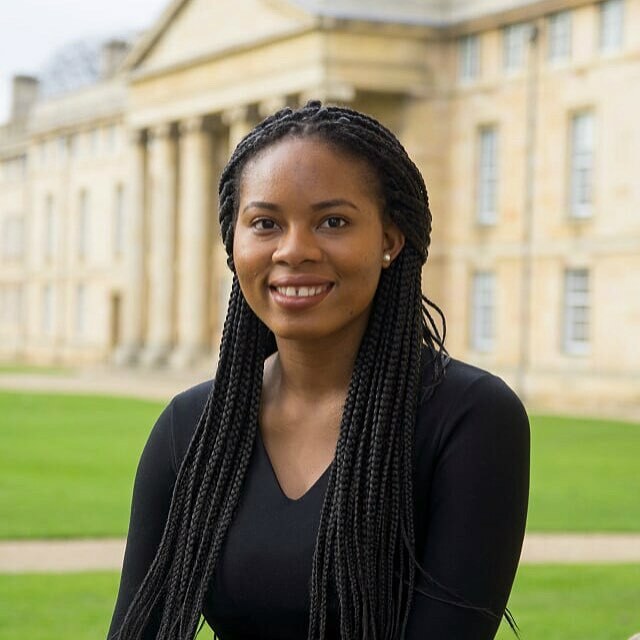 To hear more from Nnenda, follow @cambtweetclass, the Twitter feed Nnenda runs as part of the #CambTweet student initiative, designed to provide an insight into the daily lives of Cambridge students! I'm a final year Classicist at Downing. As I attended high school in Italy and benefitted a lot from Cambridge outreach programmes, I've greatly enjoyed taking part in access and outreach initiatives (both in College and at University level) during my time here!